2016-06-05 ~ National Association of Postal Employees, Tirunelveli Division. The strike which commences on 11th July, 2016 shall be the largest participated strike action in the independent India. 7th pay commission As per the decision taken by the NJCA (National Joint Council of Action of Central Government Employees Organisations), Confederation of Central Government employees and workers and all its constituent Associations/Federations in the Postal, Income Tax, Audit, Accounts, Ground Water Board, Printing and Stationery, Survey Departments, Atomic Energy, Central Secretariat, Central Excise and Customs etc. served the strike notice on their respective head of Departments yesterday the 9th June, 2016 protesting against the recommendations of the 7th pay commission. Railways, Postal, Income Tax, Audit, Accounts etc. About 35 lakh Central Government employees are expected to take part in the indefinite strike action which as per the notice will begin from 11th.July, 2016. The indefinite strike has become necessary due to the non settlement of the charter of demands submitted to the Government by the NJCA in December, 2015. (Enclosed is the charter of demands and the NJCA letter addressed to the Cabinet Secretary on10.12.2015. ‘The 7th Central Pay Commission submitted its report on 19th November, 2015, after a delay of three months from the stipulated period of 18 months given to them. The three months delay was also caused by the intervention of the Present Finance Minister. It is now more than six months the report is with the Government. The entire 35 lakh workers and the Civil Servant pension community was extremely unhappy over the recommendations of the 7th CPC which did not address the core issues presented before them and the wage revisions suggested by the Commission was the lowest in the post independent history of the country. A meagre rise of 14% alone was recommended by the Commission to be effective for a long period of ten years. The Government has so far failed to take note of the anger and anguish of the employees in the matter as the wage rise recommended in the face of the unprecedented rise in the inflation during the period between 2oo6 and 2016. The Government did not either grant any interim relief or even a small financial benefit in the form of merger of DA which at the setting up of every earlier Pay Commission the Government had adhered to. The strike which commences on 11th July, 2016 shall be the largest participated strike action in the independent India as more than 35 lakhs civil servants are expected to join the strike action. Indefinite Strike will commence from 11th July 2016, if no settlement on the 11Points Charter of Demand by NJCA+4 Points Charter of Demand by PJCA. CHENNAI: To popularise the use of postboxes among IT employees, India Post, in association with Nasscom, will on June 10 launch an 'Own Your Post Box' scheme for 150 per year at the Tidel Park post office. Postmaster general for Chennai City Region Mervin Alexander said India Post is launching the scheme since many IT companies refuse to accept letters and parcels for their employees. Hundreds of letters and articles sent by speed post to IT companies in are being returned daily as companies do not have the means to distribute the items to staff, he noted. Postboxes are already available on rent in certain post offices for fully pre-paid unregistered mail, like inland letter cards, post cards, aerogrammes, newspapers and books but there is little awareness about this. The tie-up with Nasscom is expected to increase the number of users. Nasscom senior director K Purushottam said, "This will enable IT pros to use India Post services effectively." Has to have at least 66% Support of the Workers In case no union garners the prescribed majority, the Bill provides for the formation of a collective bargaining council. Trade UnionsSoon, managements of companies will have to recognise trade unions that has the support of at least two-thirds or 66 per cent of workers, if the proposed Industrial Relations Code is enacted. Currently, there are no norms for recognising unions. A union proving the requisite amount of support will also be considered as the representative body of workers to engage in dialogue with the management in case of a dispute. The revised Bill, containing this provision, has been sent for approval to the law ministry by the labour ministry. In case no union garners the prescribed majority, the Bill provides for the formation of a collective bargaining council, where different unions will send their representatives. In such a case, a union gets a seat on the council for every 10 per cent of votes. Unions that do not get at least 10 per cent votes would not be included in the council.Currently, there is no law that makes it mandatory for managements to recognise a trade union. Although there is a fundamental right to form unions and a statutory right to get it registered, there is no corresponding legal obligation on the employer to recognise a trade union, whether registered or not, even if they truly are representative.“Recognition of a trade union is very different from registration. There have been numerous cases before tribunals where the management has refused to recognise a union as the bargaining body of workers. This provision will benefit both employers and workers as this will ensure a smooth dialogue process,” said a senior labour ministry official.According to another ministry official, trade unions had objected to the original proposal of allowing a union that has even a per cent of votes higher than the second largest union as the sole negotiating agent during tripartite negotiations. For instance, in a situation where one union gets 41 per cent vote and the other 40 per cent, the second largest union with 40 per cent would have become irrelevant.“They felt that it would have rendered a union with 40 per cent support useless and render smaller unions without bargaining power,” the official said. In accordance with the provisions of Sub Section (1) of Section 22 of the Industrial Disputes Act, 1947, we hereby notify that all the Postal/RMS/MMS/Administrative & Postal Accounts Employees and the Gramin Dak Sewaks of NFPE & FNPO) will go on indefinite Strike from 11th July,2016. Indefinite strike will commence from 11th July 2016. தேசிய தலைவர்களை கவுரவிக்க அஞ்சல் தலை வெளியிட்ட காலம் போய். Mumbai: India Post on Friday released a Rs.5 stamp to mark the third anniversary of Amazon India’s services in the country. Called My Stamp, it shows a delivery boy with a carton labelled Amazon. Amazon India, which launched its services in India in June 2013, serves customers in over 19,000 pin codes through a network of 155,000 post offices. “The department of post has released ‘My Stamp’ for the first time to commemorate a milestone with an e-commerce marketplace. The launch reinforces the Amazon-India Post relationship. We would like to say that it is a step towards the fulfilment of the aspirations of the people in rural India,” said Usha Chandrashekar, chief postmaster general, Karnataka circle. India Post is one of Amazon India’s prime carriers. 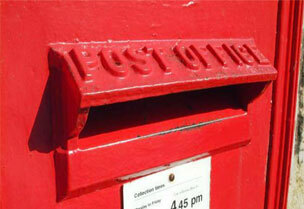 The marketplace uses the extensive postal network to reach its customers. “Over the last three years, we have relentlessly focused on providing customers with massive selection, fast and reliable delivery, and a trustworthy shopping experience. India Post has been a valuable partner to us and we look forward to our continued association as we endeavour to transform the way India buys and sells,” said Amit Agarwal, vice-president and country manager, Amazon India. New Delhi: Telecom minister Ravi Shankar Prasad on Thursday asked the department of posts to hasten the process of setting up all 650 payments bank branches by September 2017. “The minister (Prasad) today met Postal Services Board for India Post Payments Bank (IPPB) and asked them to expedite the process of setting up this entity by September 2017 as desired by Prime Minister Narendra Modi. There will be about 3.5 lakh employees who are being trained in phases,” an official familiar with the matter told PTI. The cabinet on Wednesday cleared a proposal to set up India Post Payments Bank with a corpus of Rs.800 crore and has plans to have 650 branches operational by September 2017. It will be expanded further scaled up to cover the entire country by the end of fiscal 2019. Earlier, the department of posts (DoP) had to set up 650 IPPB branches in three years. With advancement of target, DoP will set up 50 branches by March, 125 by April, 200 in May, 300 in June, 400 in July, 525 in August and 650 by September. “The minister (Prasad) will hold review meetings every fortnight,” the official said. Initially, most of the 3.5 lakh workforce will be posted on deputation who will be gradually replaced by fresh recruits. Prasad has asked the postal department to hire the managing director and chief executive of IPPB by August and set up a selection committee for hiring the chief financial officer by 15 June. The minister has also advanced dates for giving handheld devices to 1.3 lakh grameen dak sevaks. “He has asked the department of posts to start rolling out handheld devices from 15 June and finish the process by in next 3-4 months,” the official said. The IPPB will be managed professionally and most of its A Grade employees will be hired from the market. The IPPB board will have representation from other government departments including the department of expenditure and department of economic services. The government has approved a Rs.800 crore corpus for IPPB which will have Rs.400 crore equity and Rs.400 crore grant.